Grab your favorite beverage and browse around. There are lots of fun and colorful things to see. Monsters never go out of style and this is a fun easy activity for kids to do and encourage them to read, so they can use their handmade bookmarker. A card from one of my illustrations. A digital flyer for a photographer. I have always liked to be creative. One of my favorite memories is the smell of my dad's old art box. The mixture of charcoal and kneaded erasers still lingers. In college, I took a few art classes, but I usually spent to much time on my creations, and not enough time on my academics. I graduated with a Bachelor of Science degree in Elementary Education. Later I returned to school to finish my K-12 Art Minor and to take a few graduate classes. While teaching public school, I taught myself to use Photoshop and Illustrator. Etsy provides the perfect platform for selling my art. Taking classes to move on the pay scale is mandatory. I signed up for a web design class that rekindled my love of code and I started scouring the web for ways to teach myself web development. I blog to use some of my coding and web development skills. I use my shop to sell my art as well as my lessons and bulletins. If you have questions or requests, please don't hesitate to contact me. Being creative and learning new processes is part of my daily routine. My passion is web development and graphics. Selling online allows me to live in a rural town but still interact with the world. Welcome to Rhoda Digital Studio. I've created this shop as a way to share the things that I create. My hope is that something you find here will make you happy. Colors, textures, images. They are all meant to please. Enjoy! All sales are final. Due to the nature of the product, refunds and exchanges will not be given. All digital items are automatic downloads. You will be able to access the file immediately after payment. Non-digital items will ship within 24 hours (excluding weekends and holidays). 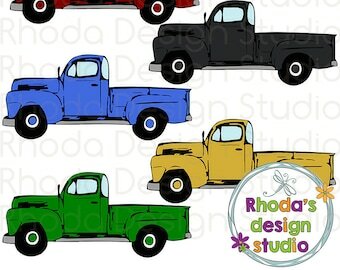 Thank you for purchasing Rhoda Design Studio products. Please read the following for information on what you can and cannot do with these designs. All copyrights to elements, graphics, and papers within this kit are retained by Rhoda Toynbee. Rhoda Design Studio page sets and graphic images are for personal and commercial use. Commercial use is limited to paper creations. Please do not resell as is, or in any other digital format. Proper credit or a link back to Rhoda Design Studio is required. COMMERCIAL USE: You must give credit to RHODA TOYNBEE/RHODA DESIGN STUDIO with a clickable LINK to http://www.rhodadesignstudio.etsy.com anywhere the art is displayed. You cannot sell any RHODA DESIGN STUDIO designs AS IS or altered digitally. COMMERCIAL NO CREDIT NEEDED: You must purchase the extra fee for this use and credit is not needed. (This can be found in the shop). You may use these kits and elements in part or in whole in your layouts that will be submitted to scrapbooking and related magazines for publication, giving proper credit to Rhoda Design Studio, including any graphic you have altered in any way. You may alter any graphics with respect to color, size, or by adding to or removing from them. You may use products for templates or premade pages for publication or sale on ebay or etsy, but proper credit must be given. Please acknowledge Rhoda Design Studio as the graphic creator and provide a link back if possible. You may not claim the designs and papers as your own works. You may not use the content for any harmful, pornographic, or racial material or material that may be deemed harmful or offensive to another person. All copyrights to elements, graphics, and kits are retained by Rhoda Toynbee with all rights reserved. Kits are for personal (and limited commercial) use only. No other use is authorized. Please be sure to credit Rhoda Toynbee, Rhoda Design Studio, Graphic or Set Name, and Elements.